Big families should turn to the closely related Mercedes-Benz R-Class or GL-Class for their seven-seat configurations-and their very smart diesel-engine options. The 2011 Mercedes-Benz M-Class earns respect with neat styling riffs, shock-and-awe AMG power, and your choice of earth-saving powertrains. Back when it was brand-new, in 1998, the Mercedes-Benz M-Class (legally, the ML-Class) gave the German automaker its foothold in the SUV market, and in America, with its new assembly plant in the U.S.
More than a decade later, the ML-Class is in its final years of the current body style, but it's still among the most desirable utes in its class. It's attractive, with some catchy styling riffs outside resolving into a muted, sophisticated, expensive-feeling cockpit with plenty of real-world room for five adults and a significant amount of cargo or luggage. 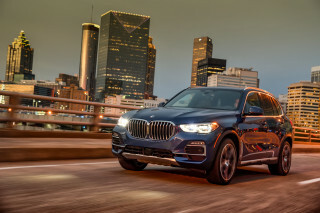 Priced from about $47,000 up to more than $93,000, the ML-Class also is the only sport-utility vehicle sold in America that's offered in gas, diesel, or hybrid editions. We've raved over the scalding performance of the ML63 AMG--but in a more realistic plane, we'd opt for the ML550 or better yet, the BlueTEC diesel and their phenomenal pulling power above all other versions. Originally conceived as an Explorer/Grand Cherokee fighter, today's M-Class has a more luxurious set of competitors waiting for it to trip up. 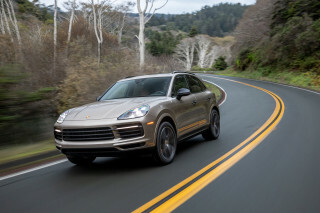 The BMW X5, the Infiniti FX, the Volkswagen Touareg, and the Porsche Cayenne are angling for some of the same shoppers. Each is worthy of a test drive, but if you can't quite decide what powertrain you want, the M-Class may have the most broadly appealing lineup of them all. Most "off-roaders" have grown prettier and more varnished, and the M-Class is, in that way, the biggest transformer of them all. The Mercedes-Benz M-Class is nearing the end of its model cycle, but it's still among the most handsome vehicles in its class--and sports one of the best interior, too. Today's M-Class has way more visual staying power than the first M-Class, which bowed in 1998. There's some real harmony in disparate pieces: the semi-circular fenders and the roofline's long arc are mashed up with a darting shoulder line and a deeply etched crosshatch grille. The sloping roofline and a kicked-up rear bumper wedge in the floating glass around the cargo area. It's a little quirky and a bit jumpy, but in spite of all its seemingly unrelated pieces, the M-Class works its look into a cohesive whole. The cabin is more conventionally styled, and it's been a major success, given the cheaply-trimmed passages inside the first M-Class. Today's truck sports oval air vents embossed into a dash that's smart in its similarity to the one in the GL-Class; the SUVs are built alongside each other, and share a common architecture, so their visual kinship is more common sense than surprise. Seated inside the M-Class' driver seat, you'll look into cut tubes and take in big, white-on-black gauges once you're past the faintly showy touches of chrome on the steering wheel. Polished walnut panels the bottom of the center stack, the console, and the dash on most versions, and padded grips support the center stack like Gothic arch ribs. There's a lot going on in the design--all the little black buttons may take some time to figure out--but like the sheetmetal, there's an underlying rhythm that makes sense. Have it your way? The 2011 Mercedes-Benz M-Class has a wide spectrum of powertrain choices; the ML550's V-8 and the diesel are our two favorites. 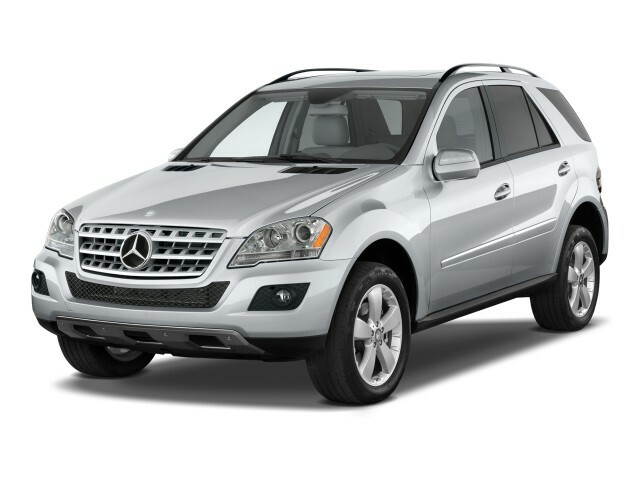 You can have your choice of powertrains in the 2011 Mercedes-Benz M-Class. With six- and eight-cylinder engines, a hybrid edition, a diesel, and a powerful AMG edition, it's lacking only a pure EV model, a four-cylinder turbo and an in-line five to make a full house, automotive-style. The ML350 is the base edition. It's fueled by a 3.5-liter V-6 gas engine with 268 horsepower, and Mercedes says it's capable of a 0-60 mph run of about 8 seconds and a top speed of 130 mph. It's still offered in either rear- or all-wheel drive, while all other models are exclusively equipped with the 4MATIC four-wheel-drive system. The next step up the drivetrain ladder brings you to the ML550 and its 382-hp 5.5-liter V-8. This is one fast, flexible highway passing machine: it'll hit 60 mph in 5.6 seconds, before it tops out at 130 mph. Like the ML350, the ML550's engine is coupled to a seven-speed automatic that doles out power urgently and smoothly. One of the most pleasing M-Class variants is the diesel-powered ML350 BlueTEC. Its 210 horsepower sound meager, but it twists out 400 lb-ft of torque--which means more than 600 miles of driving range on a single tank. The diesel feels just as strong as the V-6 in almost all circumstances, and the tremendous torque makes it the best choice for towing up to 7200 pounds. Those who want some electricity in their ML will have to seek out a lease-only ML450 Hybrid. This powertrain pairs the gas V-6 with two electric motors and nickel-cadmium batteries, which are mounted under the rear storage-area floor. The hybrid's net ratings of 335 hp and 381 lb-ft of torque mean it's roughly as quick as the diesel and V-6 MLs, even while carrying more weight, and fuel economy of 20/24 mpg is a big improvement over the gas-only engine. The ML450 Hybrid regenerative braking blends seamlessly into the friction brakes; it shuts off and and restarts silently when stopped, and can run on battery power alone up to 34 mph for short distances. The only drawback, other than leasing, is the Hybrid's downrated towing capacity of 5,000 pounds. Finally, for almost $100,000, there's the 503-horsepower Mercedes-Benz ML63 AMG. 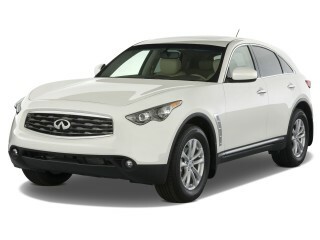 It's distinct from other V-8 MLs as much for its stunning acceleration as for its unapologetic 11/15 mpg fuel economy. The power boost flattens 0-60 mph times to 4.8 seconds, and lifts the ML's top speed to 155 mph. In all versions, the M-Class is an impressive SUV, one that's very good at hiding its truck height and stance. Steering is communicative, the ride's well-controlled even with the largest 20-inch wheels, and braking is strong. The 4MATIC all-wheel-drive system uses three mechanical differentials and anti-lock braking to maximize traction, and on all versions where it's found, it gives the M-Class the ability to handle moderate off-roading easily. The 2011 Mercedes-Benz ML-Class puts up to five passengers in the lap of off-road luxury. All five versions of the 2011 Mercedes-Benz ML-Class share a common five-seat cabin with the usual front buckets and a fold-flat second-row bench. The current SUV's cabin is attractive in a way the original 1998 M-Class could not fathom, and it's more roomy too, with space for up to five adults, even larger ones. 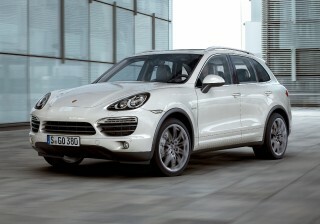 It's sized similarly to the BMW X5 and Porsche Cayenne, with more interior volume than an Infiniti FX. It rides on a 114.7-inch wheelbase, which translates into plenty of interior room. Clamber into the M-Class cockpit, and the front seats provide nice cushioning and good knee and foot room, even with a wider center console with built-in grab handles. Head room is ample, too, even with the sunroof, and even the second row doesn't suffer from any marked lack of room. A third adult in the middle of the back bench seat will be short on shoulder room, but fine for a cross-town trip. 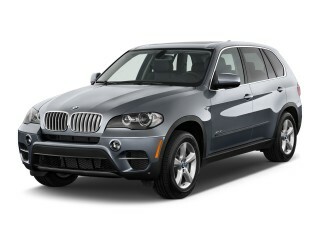 The M-Class is like the Range Rover, in that it's missing a third-row seat option. In the Mercedes hierarchy, the R-Class brings six-seat capacity to the lineup, while the GL-Class adds a third-row bench for seven-seat carrying and ferrying. Cargo space is large enough, though it's not much better than some smaller vehicles. With the rear seats folded down, interior volume is 72.4 cubic feet; it's 29.4 cubic feet with the seats upright. A Volvo XC60, for comparison, has 30.8 cubic feet of space behind its second-row seat. On base models, the standard seating material is vinyl, a noticeably down-market blot on its equipment list, but a flaw almost no American M-Class buyer ever will experience since most vehicles are built with leather interiors. That trifle aside, the M-Class has a fairly opulent cabin for an SUV, with much better trim and assembly quality than the first-generation machine managed. Interior sound levels are low, though the muscular engine note in the AMG edition is more pronounced than the powertrain noises in other models; even the diesel's faint clatter in the ML320 BlueTEC is damped nearly out of existence. Crash-test data from the feds is missing, but the 2011 Mercedes-Benz M-Class has good scores otherwise, and comes with lots of must-have safety features. The Mercedes-Benz ML-Class lost its Top Safety Pick rating from the IIHS (Insurance Institute for Highway Safety) last year, but that's due more to a lack of roof-crush testing than any significant changes to the body or its running gear. The 2011 model still meets the IIHS' standard for "good" front- and side-impact protection, but changes in the National Highway Traffic Safety Administration's (NHTSA) ratings this year mean the M-Class doesn't have any federal crash-test data available, other than a numerically derived four-star rating for rollover resistance. Despite all the confusion with these scores this year, we're giving the M-Class a high safety rating based on its past performance and its extensive list of safety equipment. All M-Class SUVs get standard dual front, side and curtain airbags; they also have anti-lock brakes, traction and stability control. PRE-SAFE, which anticipates accidents by tightening seatbelts and preparing the brakes, is also standard, as are tire-pressure monitors. Bigger mirrors help with visibility this year; a rearview camera and parking sensors are options, as are blind-spot monitors. COMAND can be confusing, but otherwise we're coddled by the M-Class' luxury and entertainment goodies. Some new features have been added to the 2011 Mercedes-Benz M-Class' standard-equipment list, and on the options docket, too. The ML350 comes standard with vinyl seats and apower driver seat; power windows, locks, and mirrors; cruise control; dual-zone automatic climate control; an auxiliary audio jack; an AM/FM/CD player with MP3 capability; and COMAND voice or knob-driven control for standard Bluetooth connectivity and audio controls. The Mercedes COMAND system is in the same vein as the BMW iDrive and Audi MMI setups; they all use a shuttle-jog wheel and voice commands to drive climate, entertainment and navigation features--but mostly to drive up your blood pressure. The COMAND system takes a long time to learn, and since we've now used Ford's MyFord and MyLincoln Touch systems and their sensitive LCD-driven interfaces, we're set to predict that the latter will be the way of the future. If you're missing leather upholstery from the features list--it's there, as an option. And in truth, most ML350s are built with a premium package that bundles in a navigation system with hard-drive storage for music and maps; a music interface for portable players; Sirius satellite radio; a power steering column; a power liftgate; a power passenger seat and driver-side power seat memory; and a rearview camera. Heated front and rear seats, a wood-trimmed and heated steering wheel, and a cargo tray are also available, as are new LED daytime running lights. Most of those features become standard on the ML550 and the ML63 AMG. 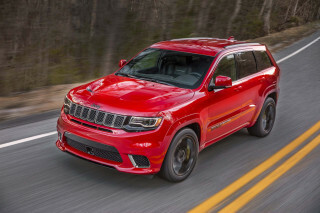 The remaining options include a 610-watt Harman/Kardon Logic7 audio system and a DVD rear-seat entertainment system with two 8-inch screens and wireless headphones. All versions can be ordered with a towing package. Fuel economy is all over the map in the 2011 Mercedes-Benz M-Class--and unfortunately, the gas-guzzling V-8s neutralize the diesel and hybrids' benefits. 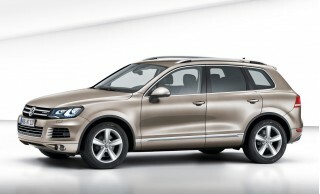 The 2011 Mercedes-Benz M-Class SUV is a rare vehicle, in that it's offered with gas, diesel and hybrid versions. However, its greener side is offset by hugely powerful gas-quaffing V-8 models, one wearing the initials AMG. In base trim, the V-6-powered, rear-drive Benz ML350 gets a rating of 16/20 mpg from the EPA. Adding on 4MATIC four-wheel drive drops its city fuel economy to 15 miles per gallon. The best gas-mileage numbers of the lineup are posted by the ML450 Hybrid, at 20/24 mpg, and by the ML320 BlueTEC diesel, at 18/25 mpg. The diesel is widely available and 50-state legal, but the Hybrid only can be leased from Mercedes-Benz, and it's available only in limited numbers. The M-Class steps out of green bounds in its V-8 versions. The ML550's fuel economy rates only 13/18 mpg from the EPA--but it's still better by a wide margin than the ML63 AMG. The extraordinarily powerful SUV sinks to 11/15 mpg, poor fuel economy that's worse than the largest Suburbans and Expeditions. 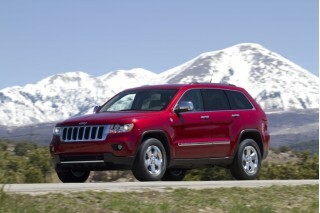 Although rated as a mid-size SUV it is a little on the small size inside. Would be crowded with a family of four, fits a family of 3 a lot better. This is the third ML 350 that I have owned. So it is safe to... Although rated as a mid-size SUV it is a little on the small size inside. Would be crowded with a family of four, fits a family of 3 a lot better. This is the third ML 350 that I have owned. So it is safe to say it is a dependable vehicle, have had no major concerns. The interior is laid out nicely, the only cons I have ever had (and this has been with all 3) the heater controls are hard to understand, and the windshield wipers need a manual low setting instead of always depending on the wet sensor to activate the wipers, does not work very well. The 2011 M-class performs much like it's mixed bag exterior. From the front, the car carries the MB banner nicely for the model year with crisp modern lines. Unfortunely, if MB did a minivan, they would start... The 2011 M-class performs much like it's mixed bag exterior. From the front, the car carries the MB banner nicely for the model year with crisp modern lines. Unfortunely, if MB did a minivan, they would start with the shapeless rump. The mixed bag permeates the rest of the mid-sizer with well laid out dashboard and interior, filled with clumsy, half-baked electronics. The COMAND system was typical for the time...lousy interface, poor controls and limited smart phone connectivity (forget Bluetooth streaming). Relaibility has not impressed with several trips to the dealer for nagging gremlins like blind sopt failure and sunroof bugs. Thank goodness for pre-paid service and warranty!